What's good: When I first reviewed these boots after six months use I wasn't exactly enamoured with them. 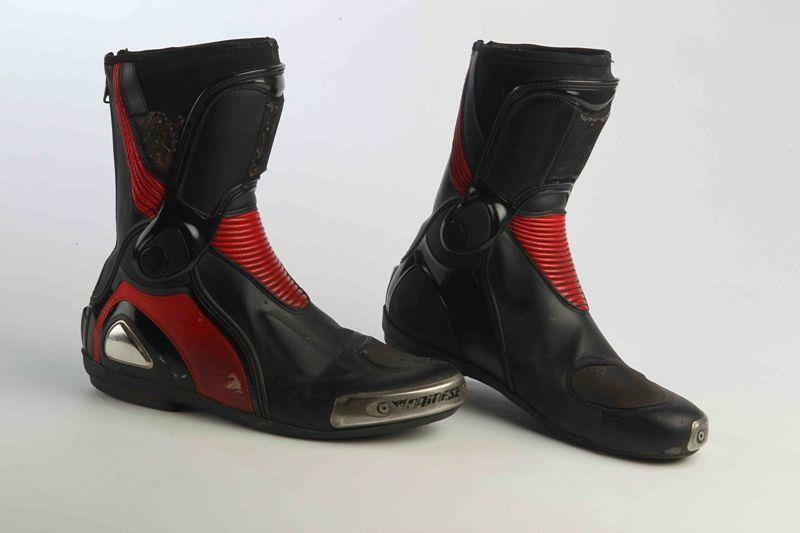 The Dainese Torque In boot lacks frills with rear entry, titanium sliders and plastic ankle brace. At £194.99 they were expensive, too. But I've grown to like them and find myself slipping them on in preference to any other boots I own, regardless of the weather. Despite an absence of a fancy membrane they keep out rain for at least 30 minutes, are roomy enough for thick socks and light enough for even the hottest summer rides. The soles have worn well too. What's not: Though I now like them, the price is still on the salty side. And perhaps the reason I enjoy wearing them over other boots is that they’re as comfortable and as flexible as slippers. So I'm not convinced they'd offer much crash protection.